Russian counter-terrorism veteran Vladimir Yeliseyev told Sputnik Deutschland what to do if you are in a place where a terrorist attack was committed. Imagine that you, by some great misfortune, ended up in a place where a terrorist attack took place. The air is thick with smoke and dust, there are injured people around you, some are panicking and running away, and nearby, you notice an injured man on the floor, who looks like he is trying to reach for a large bag. What do you do? A veteran counter-terrorism specialist for Russia's special forces told Sputnik what you can do to maximize your chances of survival and help prevent future attacks. Vladimir Yeliseyev is a veteran of the Alfa anti-terrorism spetsnaz (special forces) group, which was founded as part of the Soviet KGB, and is now a part of Russia's FSB (Federal Security Service). These are his tips for what to do if you happened to be in a place where a terrorist attack took place. In a state of panic, many people get injured, sometimes do the point of death. Try to avoid narrow passages if there are other exits. If there is only one exit, try to not run ahead of others and go in a strictly orderly fashion. That way you can leave the terrorist attack area much faster. 2. Do Not Run With the Crowd. Other than injuries received during the attack, you have the risk of being trampled by running people. You don't know where people are running and could end up in a new area of attack. Try to remember people and objects. The terrorist could be nearby. Tell the police or medical professionals everything that was suspicious or attracted your attention. This could help prevent a repeat terrorist attack. 4. Do Not Touch Others' Belongings or Unknown Objects. 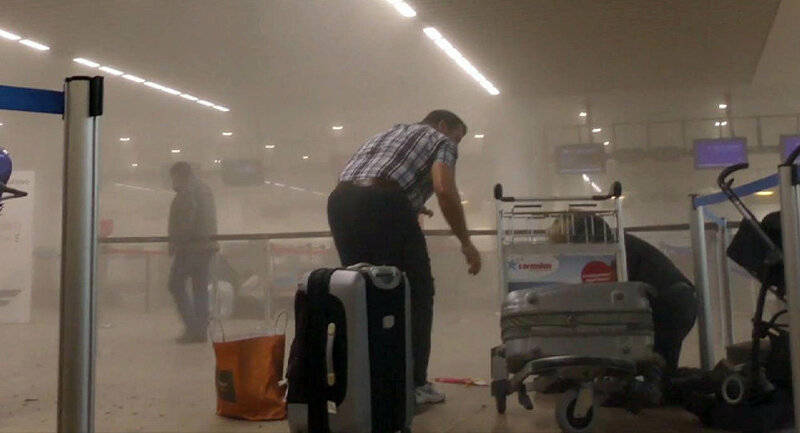 They could contain parts of explosives or an unexploded device, especially if it is a bag, suitcase or backpack. If you see such an object, tell law enforcement officers about it without touching it. 5. Try to Leave as Soon as Possible. There is a possibility of a repeat explosion. There is also the possibility that the building in which the attack took place could collapse. There is a possibility of poisoning from burning objects and dust from damage to the building. It is best to cover your nose and mouth with any fabric to avoid inhaling small particles. 6. Follow the Instructions and Orders of Law Enforcement. Law enforcement officers are responsible for the organized exit from the attack zone, they know which direction to go to not end up in a place with smoke or building collapse. They seal the area to allow the victims to leave from the attack zone to places where medical and psychological help may be provided. If this is a cold part of the year, warming places will be organized. As a general rule, ambulances are quick to arrive to an attack zone. You may not be able to notice you injuries while in a state of shock, this could lead to blood loss and other complications, as well as fainting and new injuries. 8. Try to Remember Everything That Happened. Try to fix in your memory all details which attracted your attention. The information will be needed later, during the investigation. That way you will aid the investigation of the terrorist attack.